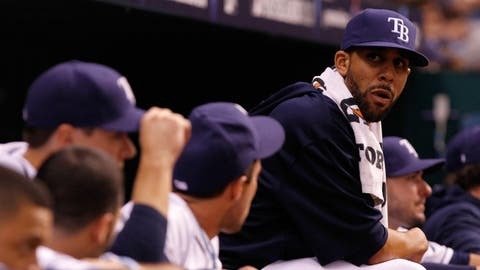 Left-hander David Price, the 2012 American League Cy Young Award winner, has been the topic of trade talks all offseason. For Frank Viola, the curious questions are always there. What if he would have stayed with his first franchise? What if he would have continued with the only team he had known in Major League Baseball? What if his 1988 American League Cy Young Award had led to stability with the Minnesota Twins, instead of a trade to the New York Mets the following July with a new life, new expectations, new comfort to gain? "I loved my time in Minnesota," Viola said recently. "I loved everything that we did there. We kept on making positive strides throughout my stay there. But it became a business. It was business at that time. As much as it hurt (to be traded), you had to take yourself out of the equation, because it doesn’t matter what you do, if it’s going to help the team moving forward, you’re going to move." Fast-forward 24 years from that deal, and Viola can relate to David Price’s life in limbo. The Tampa Bay Rays’ ace left-hander has been dangled as a trade piece this winter, a possible prime catch for the highest bidder. To the surprise of no one, many teams are reportedly interested in the services of the 2012 AL Cy Young Award winner, including the high-spending Seattle Mariners, who are looking to add another blockbuster name to their Robinson Cano haul. Bottom-line, baseball is a business. There’s no room for sentimental value or warm, fuzzy feelings when a franchise’s future is charted. 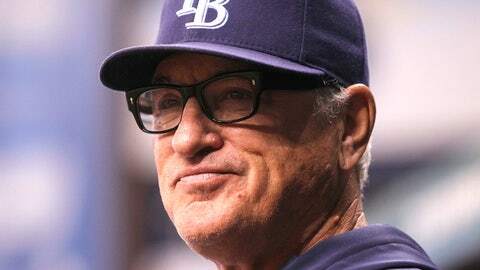 In eight years of doing Thanksmas, Rays manager Joe Maddon has learned the best gift of the season is hope. Rays claim first baseman Jerry Sands off waivers from the Pirates. Infielder Tim Beckham has successful surgery on the torn ACL in his right knee. Price, the 2007 draft’s first-overall pick, has grown with the Rays in six seasons. But with him expected to make at least $13 million in arbitration this winter, two years until he’s free-agency eligible, his time with Tampa Bay could be going, going, gone — if the right deal tickles the ear of Andrew Friedman, the Rays’ executive vice president of baseball operations. "Every guy in our organization has a little different fit in how they help us in the short-term and how they help us in the long-term," Friedman said at the MLB winter meetings earlier in December. "It’s our job to kind of navigate that to figure out how we put together as competitive a team as we can." That’s the cold truth Viola learned in 1989, then only 29 years old, in his move from big man in Minnesota to the Big Apple. He debuted in the major leagues with the Twins in 1982. The hard-throwing left-hander went a career-best 24-7 with a 2.64 ERA in 1988, but he struggled to an 8-12 start with a 3.79 ERA in 24 appearances before the Twins let the ink dry on a deal that changed his life. The Twins gained right-hander Rick Aguilera, right-hander Tim Drummond, right-hander Kevin Tapani, left-hander David West and right-hander Jack Savage. The Mets positioned themselves for the present. The Twins, the future. "It was a bit of a surprise," Viola said. "But it was also a situation that was needed for the organization. I only found this out years later, but when the Twins were looking to rebuild, they realized the only real piece they had to move that would bring them what they needed was myself. They ended up getting Rick Aguilera, Kevin Tapani and David West — three key components to the ’91 world championship team. "At the time, they thought with the hitting they had, they didn’t need to make any moves — they could add a piece here, a piece there, but the brunt of their line-up was together. But they needed to fill a couple more spots on the pitching staff." The Rays, like the Twins then, could cash in on an AL Cy Young Award winner. They made a similar play last December, in a seven-player trade with the Kansas City Royals that forced them to part with right-hander James Shields. Still, they netted Wil Myers, the eventual AL Rookie of the Year (verdict: a clear win), and right-hander Jake Odorizzi, who threw 29 2/3 innings and grew into a productive bullpen piece late in the season (verdict: there’s promise). "If it were to happen, it’s one of those (events) that’s almost the word ‘devastating’ in a sense," Rays manager Joe Maddon said of a possible Price trade at the winter meetings earlier in December. "But we have to recover from those kind of moments if it does actually occur." The Twins recovered from Viola’s departure. They won the World Series title in 1991, after beating the Atlanta Braves in seven games. Tapani and West won a combined 20 games as starters that year (16 by Tapani), and Aguilera recorded 42 saves. Viola, meanwhile, went 38-32 with a 3.31 ERA in 82 starts over three years in New York, before he signed with the Boston Red Sox as a free agent before the 1992 campaign. So Viola understands the plight of a Cy-Young-Award-winner-in-waiting well. Others do too: Right-hander David Cone was traded from the Royals to the Toronto Blue Jays after winning the 1994 AL Cy Young Award; right-hander Pedro Martinez was traded from the Montreal Expos to the Boston Red Sox after winning the 1997 National League Cy Young Award; right-hander Roger Clemens was traded from the Blue Jays to the New York Yankees after winning the 1998 AL Cy Young Award; and before last season, right-hander R.A. Dickey was traded from the Mets to the Blue Jays after winning the 2012 NL Cy Young Award. Something may happen with Price this offseason. Something may not. Still, Viola has a secret to the survival: No matter the circumstance, be true to what allowed a climb to the top of the profession possible. "You get traded, it doesn’t matter: You’re going to have the confidence," Viola said. "The bottom line is, David Price is a professional. He went to Vanderbilt. He’s a very intelligent guy. He’s had great success. No matter where he ends up, he’s going to go out there and he’s going to challenge 20 wins (a year), and he’s going to make that organization and the fans in that city very happy that they went and got him. That’s all that matters. Go out there, do your thing, be yourself and everybody is going to love it." True, love changes with each zip code lived in a career. Still, looking back can be bittersweet. What if Viola’s Minnesota life had lasted forever? What if the marriage with his first major league team, the one that drafted him in the second round in 1981, had extended from his early 20s well into his 30s, until his retirement at age 36? What if the move to New York never happened? "Ultimately, looking back, it would have been a nice ride to be able to be a part of that ’91 World Series team too," said Viola, now 53. "The Minnesota people are Midwestern people, fantastic. … If I could do it again, which you can’t do, but if I could re-write it, I wouldn’t mind being able to spend my whole career in one place. A lot of people don’t have that opportunity." That opportunity could elude Price as well. If so, it’s not personal, only business. If so, it’s not malicious, only part of the Rays’ reality. Life will move on for everyone involved, no matter the outcome, even if the bottom line includes some sour with the sweet. "It has got its good points and its bad points," Viola said. "It worked out, no complaints. But it could have been better too."